PrettySmart created this PDF to be used as a followup to a website contact form. If you need to provide prospects with sensitive information that you’d rather not publish publicly on your website, attaching PDF like this one to your followup email is a great solution. 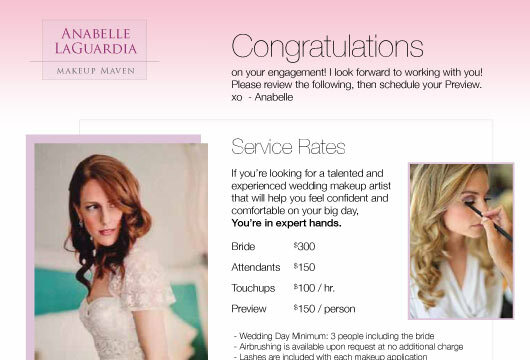 To project a unified and consistent marketing message, the PDF was designed to have the same look and feel as Anabelle’s website.